Albuquerque is known for a lot of things, but heaps of snow is not one of them. 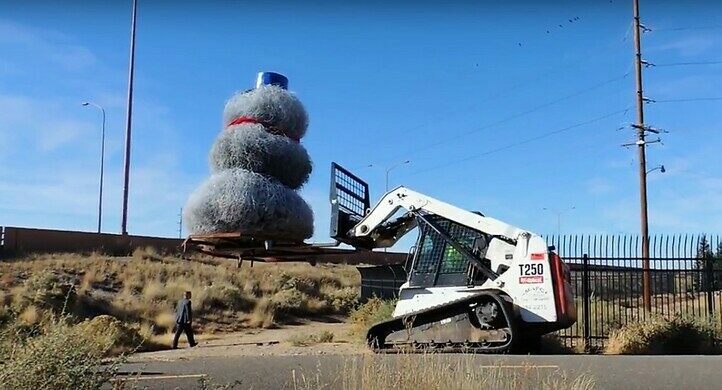 So every year, to celebrate the holiday season, the Albuquerque Metropolitan Arroyo Flood Control Authority builds an enormous snowman out of the city’s ever-present tumbleweeds. A museum devoted entirely to the rattlesnakes and snake-related art. 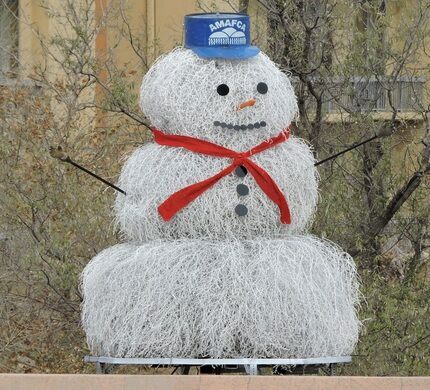 The tumbleweed snowman has been on display along the I-40 freeway outside the AMAFCA offices every year since 1995, steadily getting bigger and bigger. 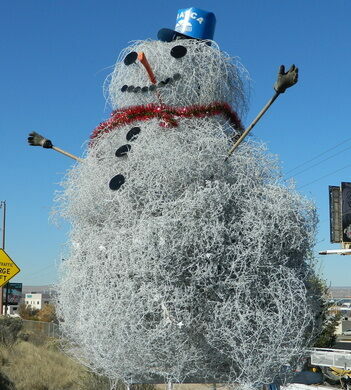 The 2016 snowman’s tumbleweed bottom is 10 feet wide and he stands over 14 feet tall. 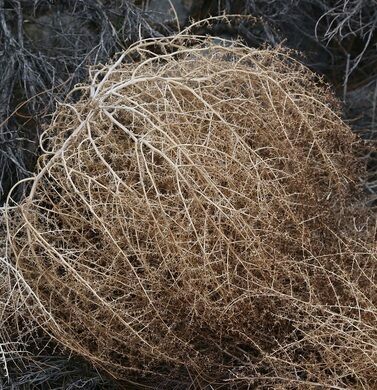 It goes up the first Tuesday after Thanksgiving—dubbed “Tumbleweed Tuesday” by the AMAFCA and several local news outlets—and stays there greeting motorists until the first week of January. 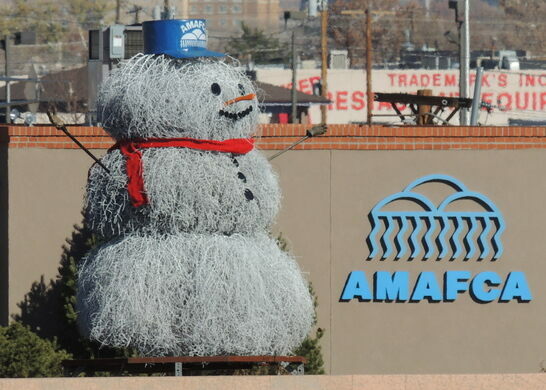 While the tumbleweed snowman may have started as a joke, the AMAFCA is dead serious about it now. Flood control employees begin looking for suitable tumbleweeds as early as August, and once the giant-sized bushes are selected, they are bolstered with rebar and welded to a stand to protect the snowman from the fierce winds that have occasionally taken him out. Then the whole thing is spray-painted white and adorned with an AMAFCA hat. The snowman is visible from westbound I-40, just before exit 159D. A sculpture of a flying hawk made from colorful car doors. When life gave this firefighter a forest fire, he made a rough-hewn sculpture park using a chainsaw. Colorful concentric circles honor a small Croatian town's supposed spot at the nucleus of it all. Every year model trains zip through a miniature New York City that's now 150 landmarks strong.